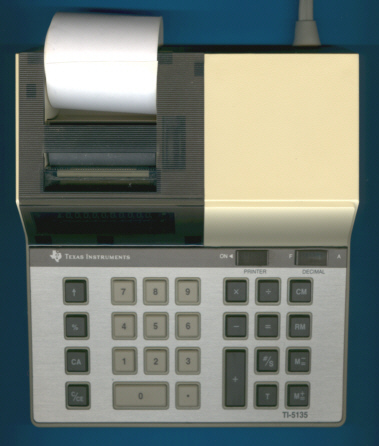 The TI-5135 was introduced as an economical printing calculator for office and home. It features a 10-digit display and a thermal printer quiet enough to be uses at home. Beside the usual 4-function memory an independent add register is available. 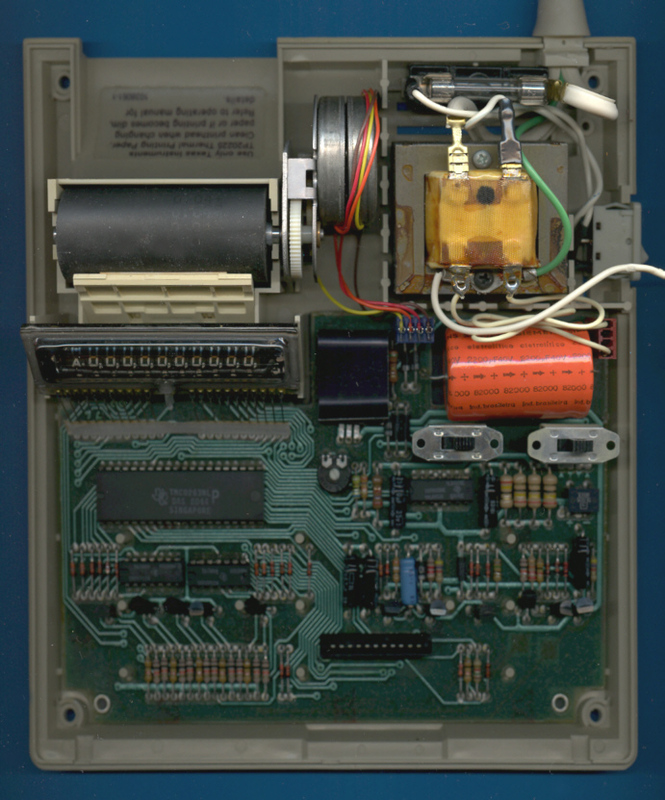 Dismantling this TI-5135 manufactured in 1980 reveals an internal construction very similiar to the TI-5040 known since 1976 and the PC-100 printing cradle introduced already in 1975. The TI-5135 was the last Texas Instruments printing calculator based on their own technolgy, the successor TI-5130 - followed within one year - was designed around an impact printer for plain paper and manufactured by Toshiba TEC Corp. in Japan. The TI-5040 II introduced in 1982 used once again thermal printing technology. 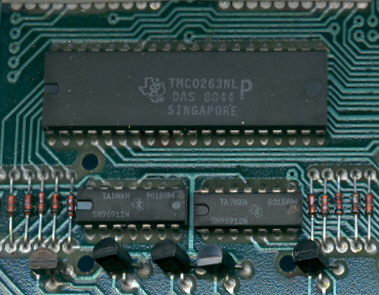 The TI-5135B introduced in 1988 was manufactured in Taiwan, PRC. Economical printer/display calculator for office and home. Especially designed for business executives so it has all the features an executive needs. That means having both a display for fast calculations and a tape produced by a thermal printer. Use the display alone or display plus printer when the job demands it. The 10-digit display is easy to read with commas and decimal point. The thermal printer is quiet enough to use when you’re on the phone, and it eliminates ribbon and ink. You’ll make quick work of most problems with features like: Four-function memory and independent add register for “dual-memory” capability. Add register also makes the extensions, cross-footing, and invoices easier, Automatic constant. And percent key.